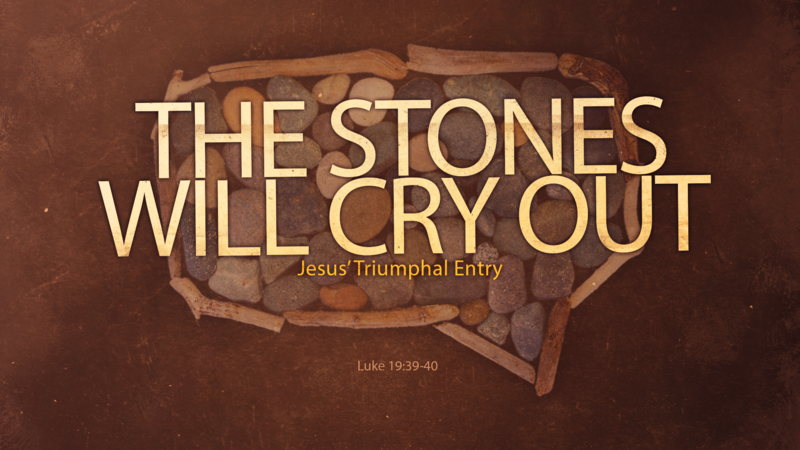 Easter is a day of remembering and celebrating Jesus’ life and His victory over death. We want to join together and celebrate who Jesus is and what He did on our behalf on the cross. We hope that you will join us! 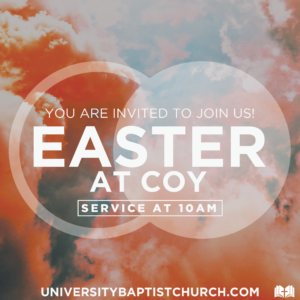 This year, we will be meeting at Coy Middle School for our Easter services. We will have one service at 10:00 am. We will have signs posted around the parking lot as well as some signs throughout the building to make sure you, your guests, and family know right where to go. We will have children’s programming for Infant-5th grade. As you head into the building, you will see signs right before entering the worship area for how to drop off your children. If you haven’t ever attended UBC, we would love to answer questions you may have about our church. Even though we are meeting off-campus this year, we have some information that will be helpful to you as you plan a visit. Invite others by sharing these graphics on social media.